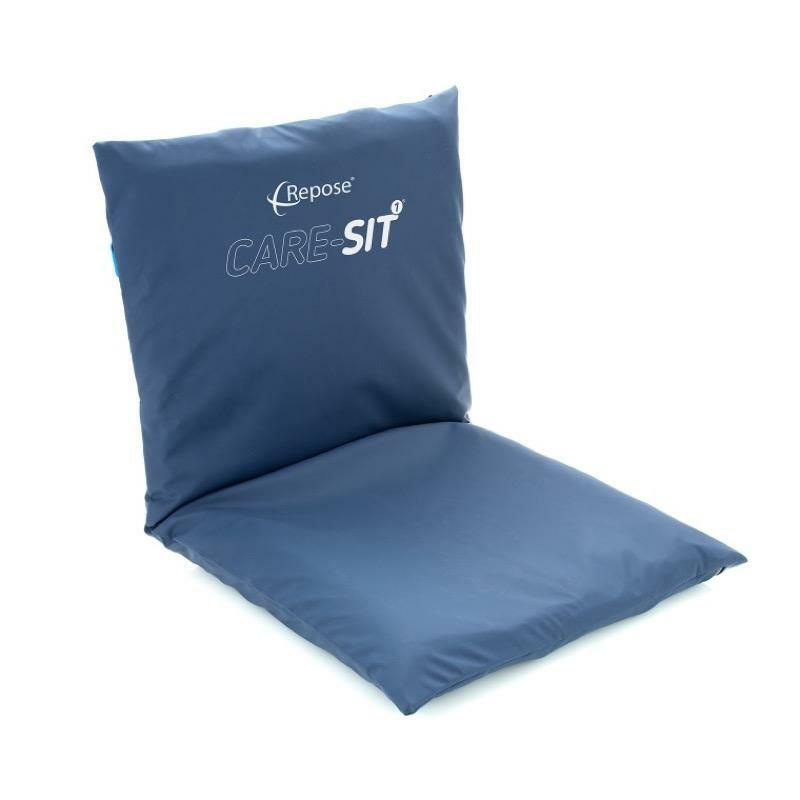 The Repose Care-Sit Cushion can instantly transform static chairs of all types and sizes as well as wheelchairs to provide a cheap and effective solution for pressure sore prevention and treatment. The Repose Care-Sit Cushion can instantly transform static chairs of all types and sizes as well as wheelchairs to provide a cost-effective solution for pressure sore treatment and prevention. The cushion is available in two widths, 400mm & 450mm, and is supplied with multi-adjustable straps fitted to the rear of the cover. It is simple and easy to secure and is suppled as one cushion divided into two sections for independent back and seat support. This ensures optimal pressure redistribution across all pressure points for maximum comfort and care. The seat features narrow pressure redistributing air cell tubes surrounded on each side by a wider air cell tube for support. Included in the box is a Care-Sit Cover, Care-Sit Inflatable Inner Section, Repose Pump and User Instruction Leaflet.